Leah Spitzer has been training dogs since 1974. Her expertise includes puppy training, pet home manners, behavioral problem solving, board and trains, instructor training and competition coaching. Leah became interested in dog training in college while studying for a Bachelor's Degree in Education. After graduating college, Leah decided to pursue the art of teaching owners to have well behaved pets and was accepted as an apprentice at Algeist Kennels' School For Instructors in Tallahassee, Florida. Training included skills ranging from understanding individual breeds to people-teaching skills, matching the method to the dog and creative problem solving. 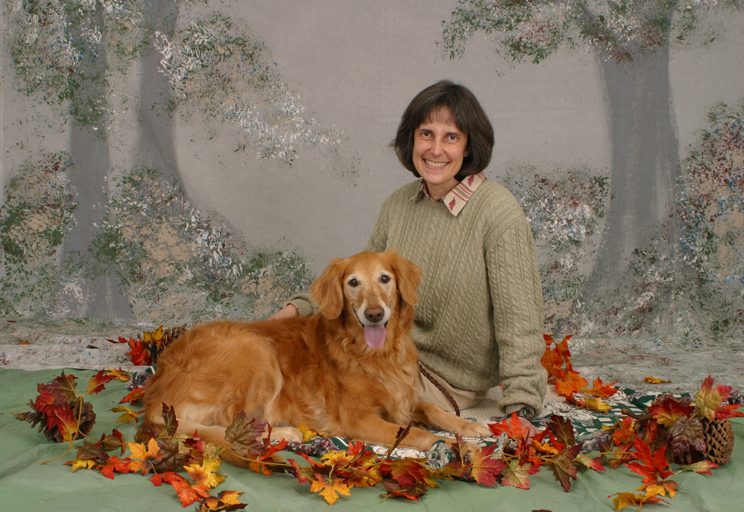 Leah began teaching pet classes in 1979 after graduating from the 2 1/2 year instructor apprenticeship. Leah stayed at Algeist for five more years. During that time, Leah became certified as a Senior Instructor qualified to teach new apprentices in the art of pet dog obedience instruction. Leah moved to Atlanta in 1984 and taught at Pet Lodge in Alpharetta from 1986 to 1995. Leah was Training Director for the Lawrenceville Kennel Club in 1989. While in Tallahassee, Leah spent several years as a behavioral advisor and foster home for the Tallahassee Humane Society. Leah is now a member of the Gwinnett Humane Society. Leah is also a recipient of their 2002 Caring Paws Award for her work with canines and for her support of the Gwinnett Humane Society. Leah owns Golden Retrievers and has also owned German Shepherd Dogs. An active competitor, Leah and her dogs have earned multiple titles, including two Utility Dog titles and multiple High In Trials. Leah has competed in the conformation ring and sent her Champion golden retriever to the Westminster Kennel Club Show in 1990. Leah stays current with new methods and theory through seminars, books, training organizations and e-lists with trainers across the country. Leah is versed in many methods from clicker to traditional and believes in a moderate approach with individualization as needed for each dog. Leah has also worked on 2 movies. Working with the Southern Animals Talent Agency, Leah worked on the 1995 movie, “Fluke” and in 1996, was Head Animal Trainer on the movie “Mobius”. Leah was also a member of The Association of Pet Dog Trainers. Leah opened Canine Learning Center in January, 1997 and relied on veterinary referrals and word-of-mouth from past students. The school offered puppy classes, adult obedience classes, Board and Trains and Private lessons for Behavioral Problem Solving.